Lancaster PA > Shopping in Lancaster County > Amish Stuff Etc. Get Your Amish Stuff at Amish Stuff Etc. 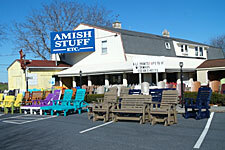 Visit Amish Stuff Etc. 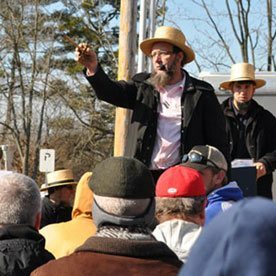 for Amish “stuff” of all kinds, including straw and felt Amish hats, Amish bonnets, Amish Country license plates, hand-made quilt replicas of authentic Amish designs, Amish-made furniture and craft items, Amish collectibles, locally embroidered t-shirts, and many more Lancaster County souvenirs. You’ll find them here. Choose from a wide selection of locally-made wood and poly outdoor furniture, cedar chests, and thousands of framed prints, crafts, and other merchandise. All at great prices. Amish Stuff Etc. 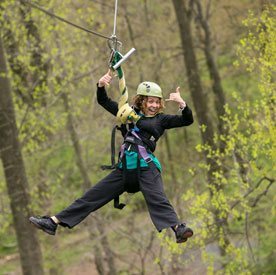 is located behind Dutch Haven along Route 30 East in Paradise, PA.